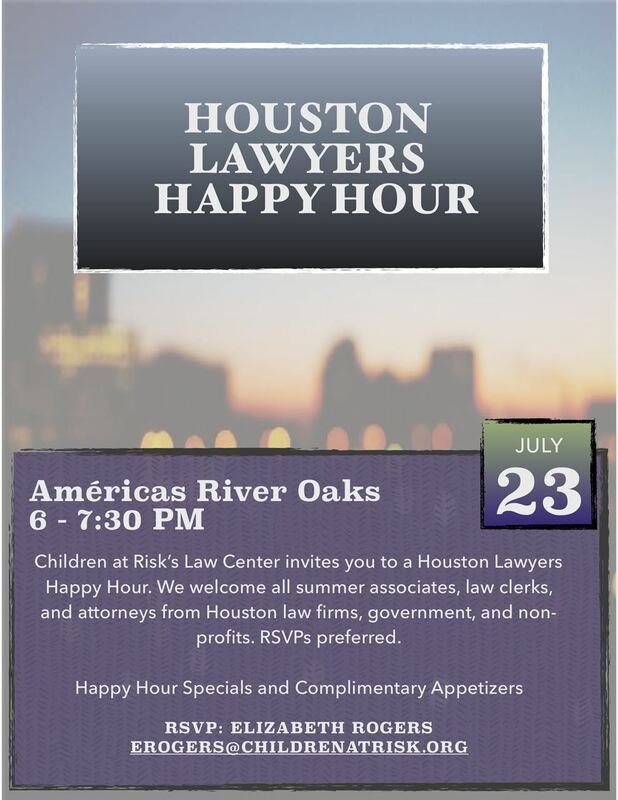 Children at Risk's Law Center is hosting a happy hour for Houston area attorneys, summer associates, law clerks, and law students. We anticipate an evening of networking and discussion about efforts to fight human trafficking in Houston. See image below for additional details.